The Loch Lomond Marina. . . 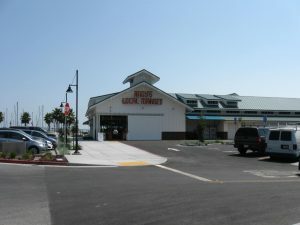 The Loch Lomond Marina is located at 110 Loch Lomond Drive, approximately three miles east of US 101. As a full-service marina, the facility offers 517 boat berths, a public boat launch, fueling facilities, harbormaster’s office, boat repair, bait shop, and dry dock boat storage. 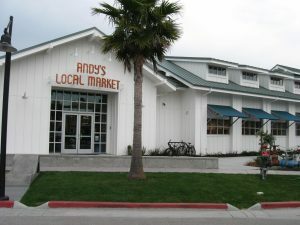 Andy’s Market, a local neighborhood grocery store is located on the eastern, upland portions of the 131-acre marina site. 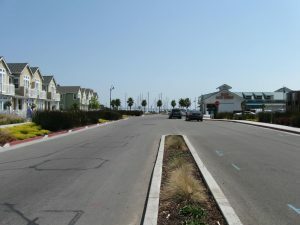 Several neighborhood commercial uses and services are located on the western portion of the marina site. 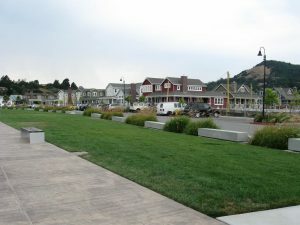 Village at Loch Lomond Marina Mixed-Use Development. . . 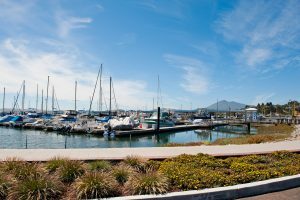 Retention of the existing full-service marina including public launch, fueling facilities, harbormaster’s office and boat repair. Of the 517 boat berths, 52 were approved for “liveaboards’ allowing permanent residency. As part of the marina improvements, the existing breakwater, which separates the marina basin from the bay, was required to be reinforced and raised. Development of a new Andy’s Market, a full-service grocery store, on the west side of the marina site. North of the market, a new mixed-use building is approved to include neighborhood commercial uses and services. 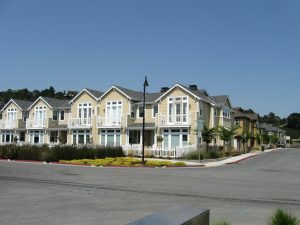 Development of 81 residential units in four housing types: detached, single-family residences, detached residential cottages, townhomes, and residential condominiums developed in the mixed-use building. 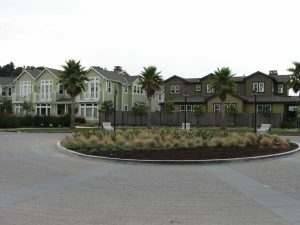 Of the 81 units, 17 are required to be sold to owners that qualify in the “below-market-rate” household income levels of low- and moderate-income. 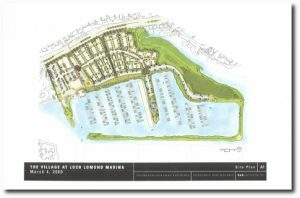 Development of an expansive marina green, boardwalk and both active park (playground) and passive park (walking trails/paths, picnic areas) areas. The City approvals require that these recreation amenities be retained in private ownership but be open and accessible to the public. Enhancement, expansion and preservation of an existing seasonal wetland, which is located at the eastern edge of the marina site. City approvals require that all of the above improvements be constructed/installed by the property owner/developer. As the publicly-accessible recreation amenities are to be retained in private ownership the City approvals require the establishment of a “Community Facilities District” (“CFD”, Mello-Roos District) to ensure long-term maintenance of these facilities. The CFD requires that the property owners within the geographic boundaries of this district (marina property boundaries comprised of the marina owners, commercial property owners and residential owners) be responsible for the cost of maintenance. Once the district is established, the annual cost for maintenance is included on the property owner’s annual property tax bill. All of the subdivision improvements and utilities have been installed. A new Andy’s Market has been constructed and is open for business. The old grocery market/market located at the easternmost area of the marina site will be demolished in 2017 and this area will be graded for residential development. 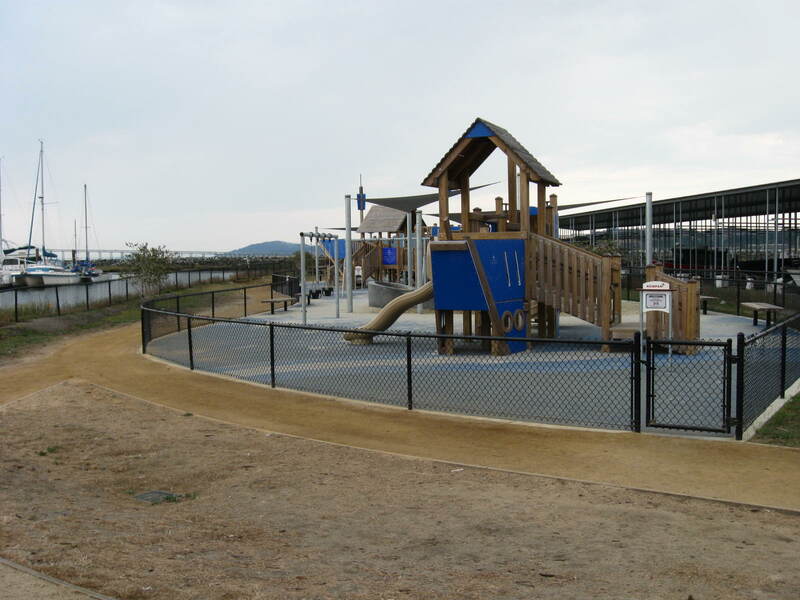 The publicly-accessible marina green, boardwalk and park facilities are complete and open for public use. In addition, the upgrades to the marina breakwater has been completed, which includes a paved public path that is accessible to the public. The seasonal wetland restoration has been completed and fenced to prohibit access to the area and to ensure protection of wildlife. A building permit has been issued for the development of a new harbormaster’s office and restaurant. Construction is expected to be completed by early 2018. At present, the marina boat fueling facilities are not in operation. New fueling facilities are expected to be on-line in the near future. 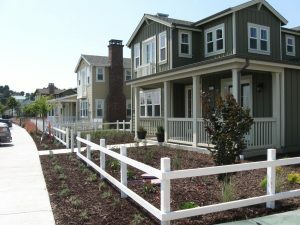 Project plans, as well as City files containing reports and technical studies are available for review at the City of San Rafael Department of Community Development, Planning Division. Links to more information. . .